Sew Thankful Blog » etc. How to make & add a hanging loop to your project in 3 easy steps! 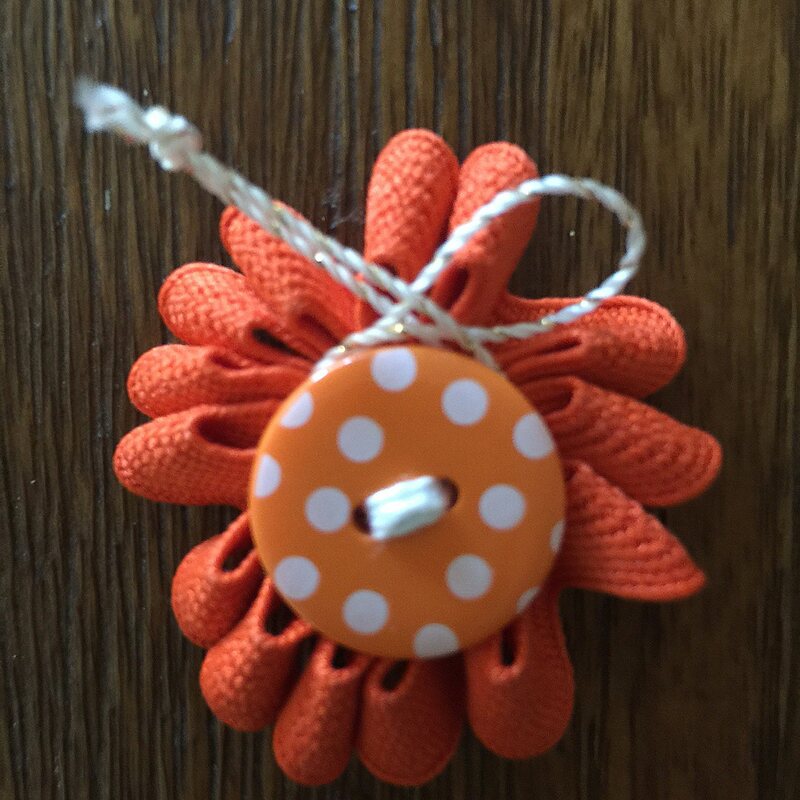 Do you have a small project–like the Double-sided Button Rick Rack Flower used here as a decorative zipper pull–that you’d like to hang as a decorative zipper pull or wall ornament or tree ornament or attach to something like a gift/package, etc. but you need a way to do so? 1. CUT a length of string, yarn, narrow ribbon, bakers twine, etc. I usually go with about a 6 – 8 inch length unless I need a longer dangle. If longer dangle is necessary, then cut a longer piece. 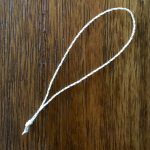 Remember, the length of dangle will be 1/2 the length you cut MINUS about 1 inch give or take depending on how close to the end you tie your knot AND whether you are looping around a button (or similar) or through a hole. 2. KNOT the ends. Make the knot as close to the ends as possible. 3. ATTACH to your project. 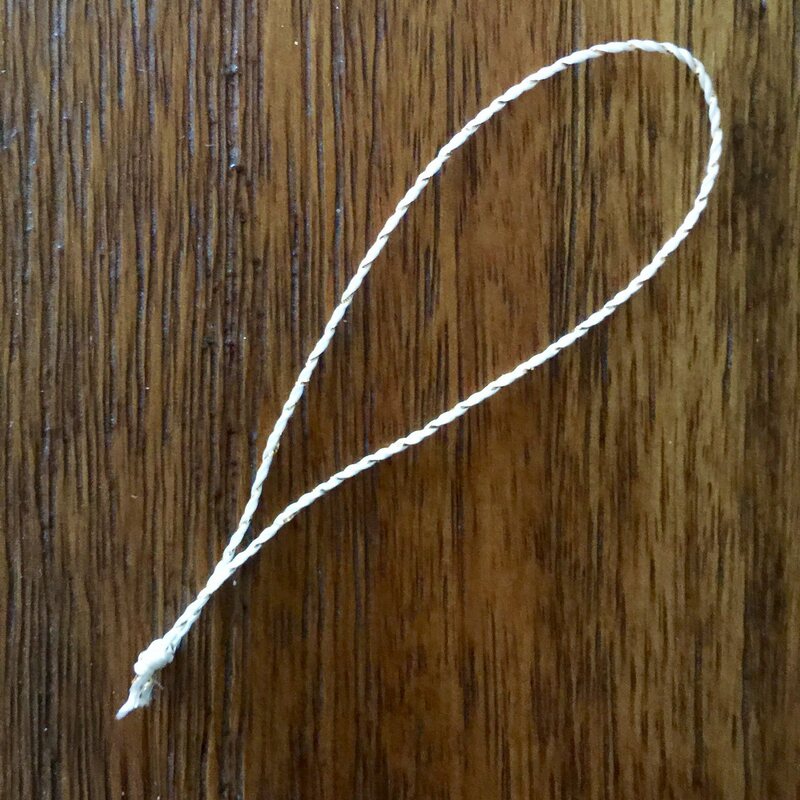 Loop the string around (or through–if there is a hole to insert through), then insert the “folded” end of your loop through the strings of the knotted end. If you have a small fabric item that you need to add a hanging hole to, you could use an awl to pierce a hole. 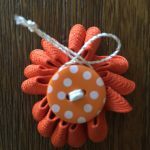 Want the pattern for how to make the Double-sided Button Rick Rack Flower shown here? 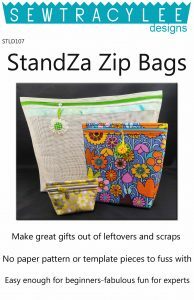 It’s included as a bonus in my StandZa Zip Bags sewing pattern. I hope you enjoy making these cute little zip wallets as much as I do. 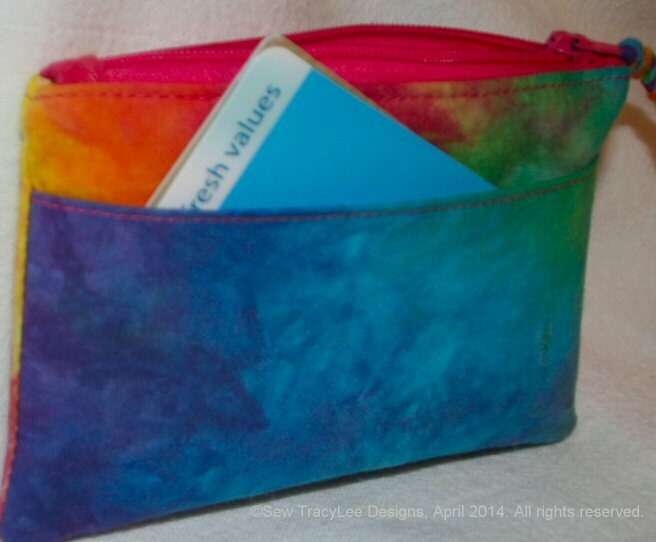 The pattern includes lots of pictures and step-by-step instructions to make 3 sizes of I-Zip Wallets. There are options for interior and exterior pockets (a pieced pocket option is provided) as well as an optional removable wrist strap. 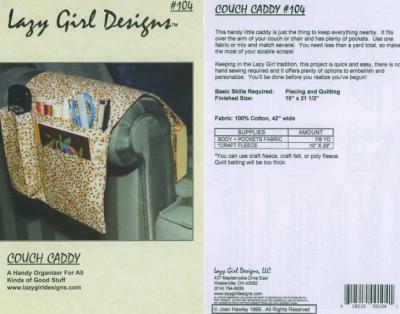 Instructions to make the optional braided fabric zipper pull are also included. 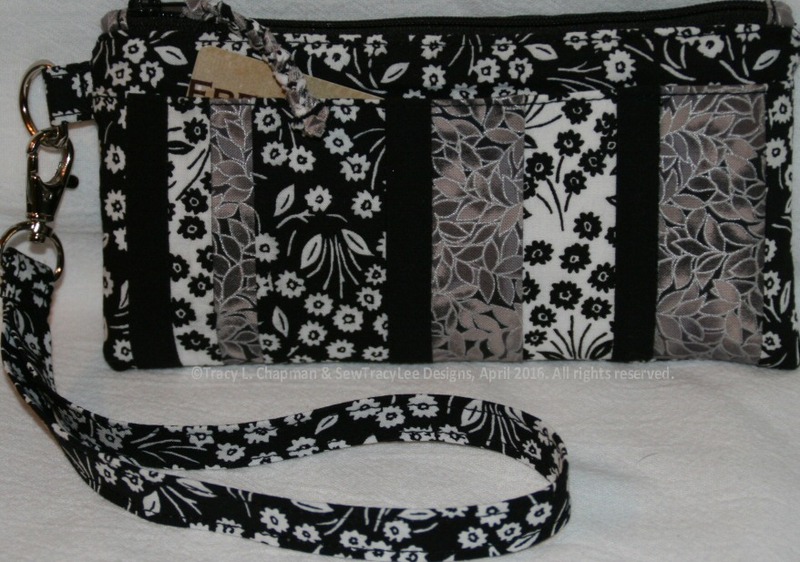 Clutch wallet size featuring pieced exterior pocket, removable wrist strap and braided fabric zipper pull. 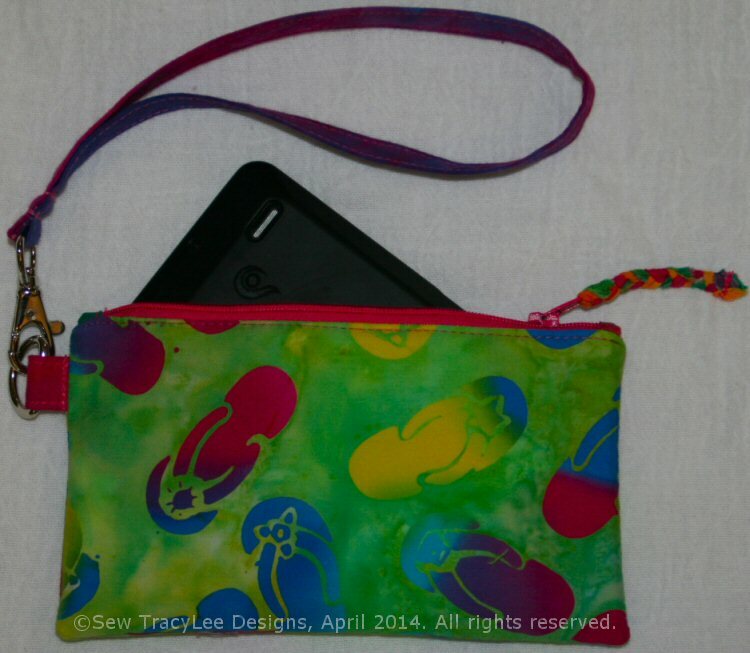 Cell Phone Wallet size I-Zip featuring wrist strap and braided fabric zipper pull. Coin Purse size I-Zip featuring single fabric exterior pocket and braided zipper pull. You could save even MORE on your order today at SewThankful.com. Click here to visit our eCoupon page. "SEW THANKFUL" and the Sew Thankful logo are the Federally Registered Trademark/Servicemark of SewThankful Inc.